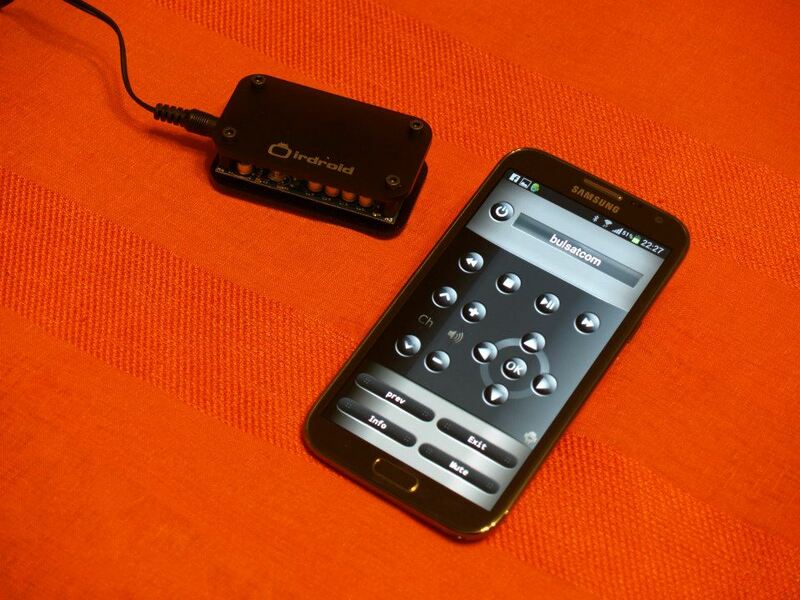 In this article we will share the user experiance for the Irdroid v.0.4, Androlirc 0.3 infrared remote control applications and the Irdroid v2.0 (bluetooth version). 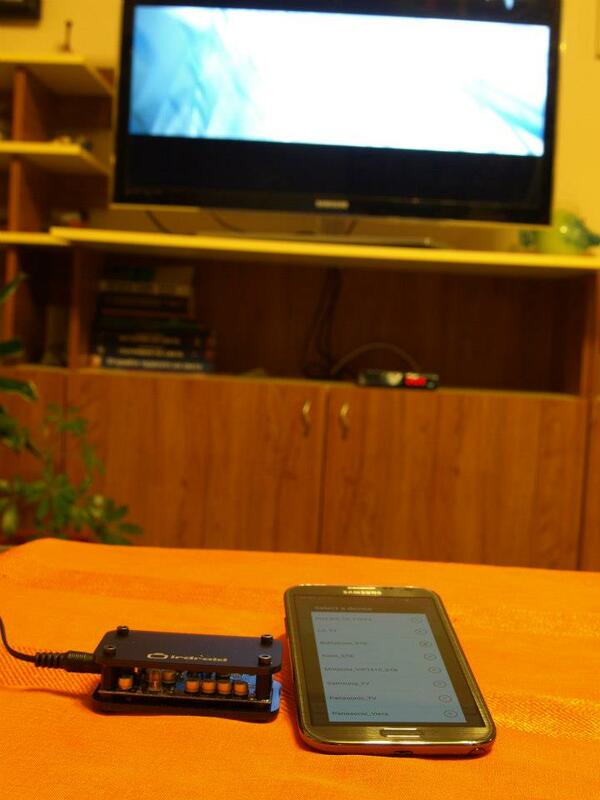 We have performed tests with the Irdroid v2.0 module connected to Samsung Galaxy Note 2 . The software that we have installed on the Samsung Galaxy Note II , was Irdroid v.0.4 from Google Play and Androlirc v.0.3 again from Google Play. 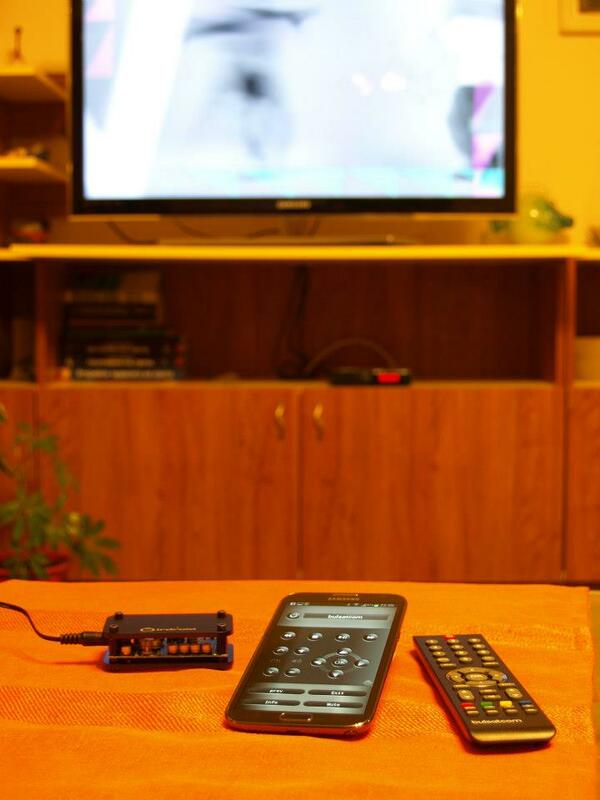 The tests were performed with a Samsung LCD TV and a Bulsatcom sattellite STB receiver. The apps were loaded with the standard lircd.conf file that comes with Irdroid v.0.4 which includes a number of supported TV / STB brands including Samsung TVs and Bulsatcom STB. First we have paired and connected the Samsung Galaxy Note 2 and the Irdroid v2.0 Bluetooth, the process is quite straight forward, no pairing keys were needed . The first test was done with the stock Irdroid v.0.4 app which we have downloaded from the Google Play Store. Version 2.0 of Irdroid modules require to set your media volume to 100% . We have done it from within the Irdroid v.0.4 application as the volume keys are remapped to Android Audio Manager ‘Media Volume’ ,we have adjusted it to 100 % and tried sending a commands to the Samsung TV and the Bulsatcom STB. Both worked like a charm. The second test was with another application supported by Irdroid. It is called Androlirc and it allows you to enter custom remote control sets with editable function buttons and the ability to name your buttons. We have made a custom remote control set combining commands for Samsung TV and a bulsatcom STB in one remote control set which gives you the ability to control your devices without switching your remote control sets. As a conclusion the Irdroid v0.4 apps is proof of concept solution that gives you the flexibility to test controlling your TV’s and other IR devices. Androlirc 0.3 gives you the flexibility and comfort to create your own remote control sets and the better usability grade goest to Androlirc. Irdroid v.0.4 is recommended for more advanced users and Developers , it gives you the ability to copy and paste the source code and to create your custom application. Androlirc is the choise for the user who dont want to mess with the source code or to do customizations, so androlirc is the app that is more user friendly. The Irdroid v2.0 module is a standard bluetooth stereo receiver as well. The module can be used not only for controlling infrared devices, but also to listen to a high quality stereo music over bluetooth. The module has a standard 3.5mm stereo out jack. The user can use it to connect a standard computer speakers or other speakers with amplifier. The above turns any speakers into a wireless stereo speakers system and enables you to listen to your favourite music by simply connecting to he Irdroid v2.0 module.